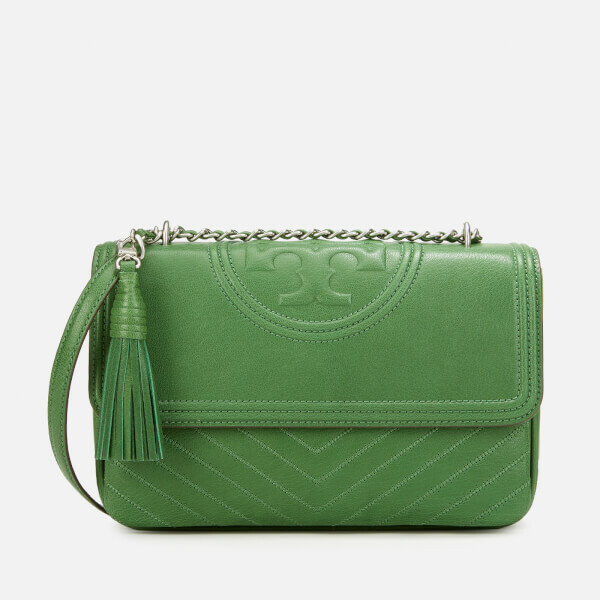 ‘Fleming’ shoulder bag in green distressed leather by American fashion designer Tory Burch’s eponymous label. 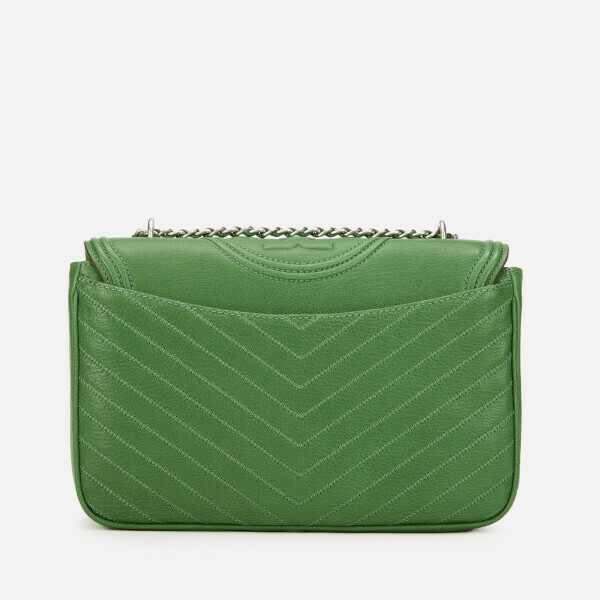 Distinguished by a statement debossed monogram and unique chevron stitching with punch-hole detailing, the sleek bag features a fold-over flap secured with a concealed magnetic snap button. 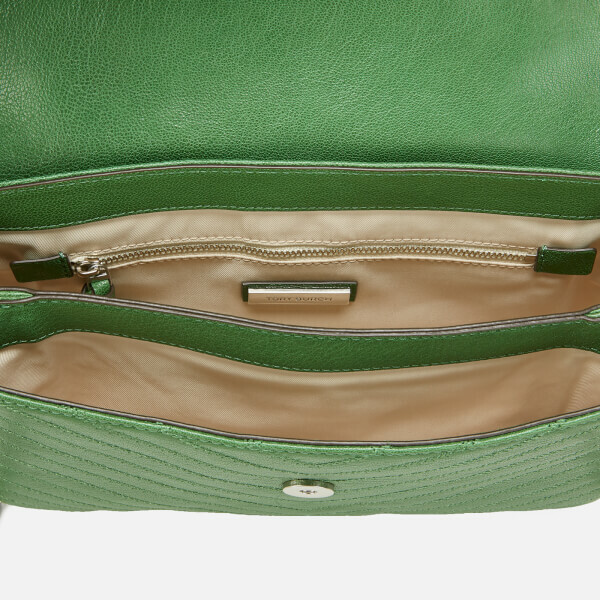 Its twin-compartment interior is lined with fabric and features a zip and slip pocket within, whilst an exterior slip pocket to the reverse offers extra space for handbag essentials. A chain-trimmed leather strap transports the bag over the shoulder or across the body, and can be adjusted in length, offering versatile styling. 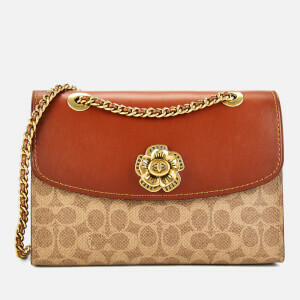 Stylish with a rectangular structure, the bag is complete with a leather tassel charm that can be detached.